Fantastic offer for this week! Order by the end of Thursday July 27th to grab your freebies! The summer is here for us … but who wants to be on the beach burning in the sun when you could be assembling some awesome Spartan Games models and painting them! 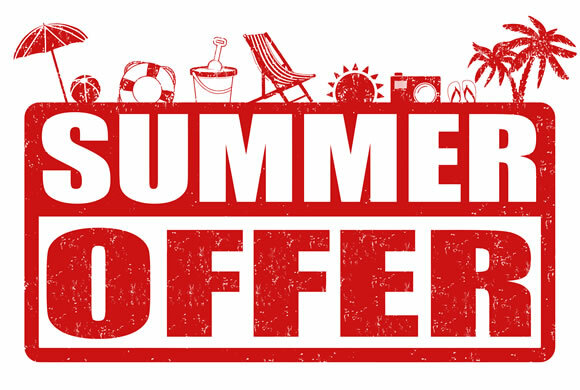 We’ve gathered together some sweet freebies for all orders placed between now and Thursday 28th July – so whether you play Dystopian Wars, Legions, Firestorm Armada, Planetfall, Halo: Fleet Battles or Halo: Ground Command we really have got something for everyone! 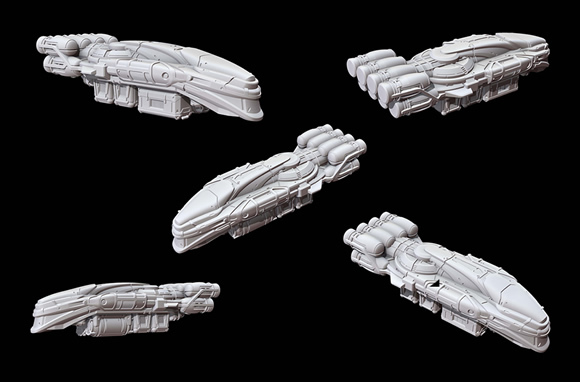 The Andania is one of our cool new freighter models – so why not grab yourself TWO of them! 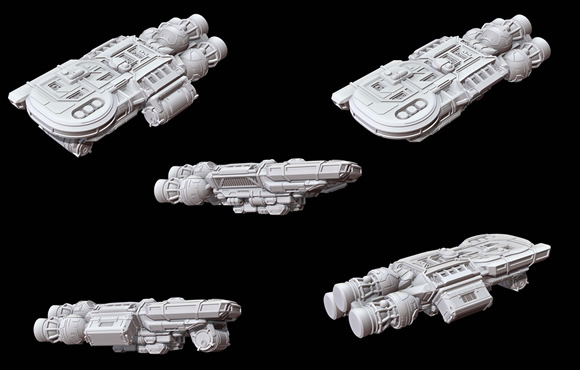 Laconia freighters are the workhorse of the galaxy – ideal for playing convoy missions. Grab yourself two free models! Can’t make your mind up? Just Get one of each freighter instead. It is amazing how adding some Covenant scenery like this to a game of Halo: Ground Command takes a simple green cloth and propels the gameplay into the Halo Universe! 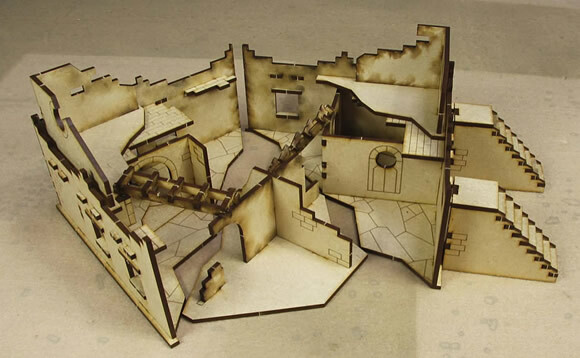 UNSC scenery – perfect to dress a tabletop or be used as barricades or objectives in a game. 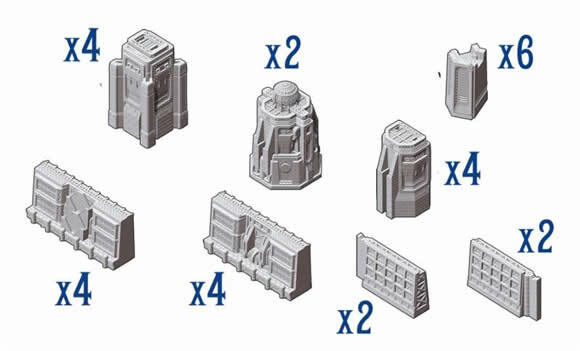 We’re having huge fun making new scenery for Dystopian Wars and these 28 Harbour Wall pieces will help make your naval tables look awesome. More ice!? 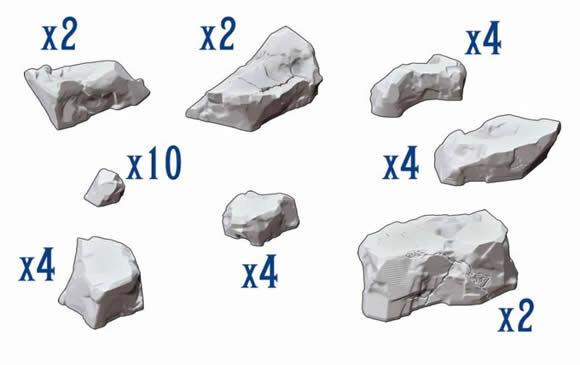 Whether you are off the coast of Greenland, Antarctica or the Baltic these Iceberg models look great and give your ships something to run around! First shown as part of Operation: Ice Maiden our Sea Fort is large and festooned with detail. Perfect for your tabletop. We thought we would offer our Planetfall customers something a little different. For every £50 spent they can grab a full squadron of models (small, medium or large). Offer excludes Leviathan and Ground Command models. What’s not to love about a giant space station. 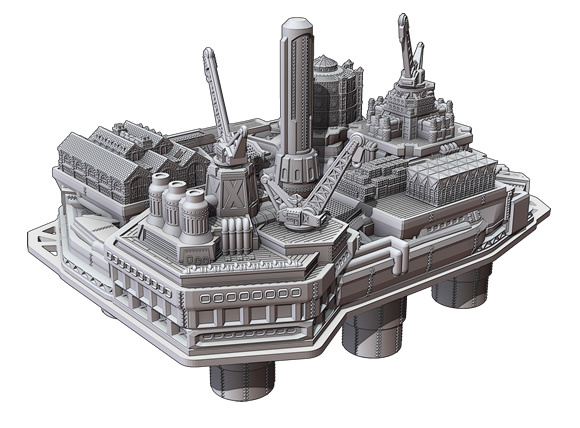 perfect to either look good on a table or act as an objective Daedalus Station works for both Firestorm Armada and Halo: Fleet Battles. 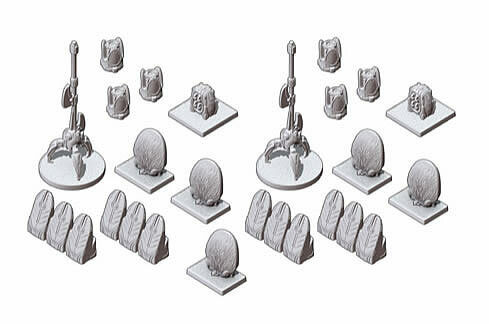 Time to give those Legions forces somewhere to hide in or capture! 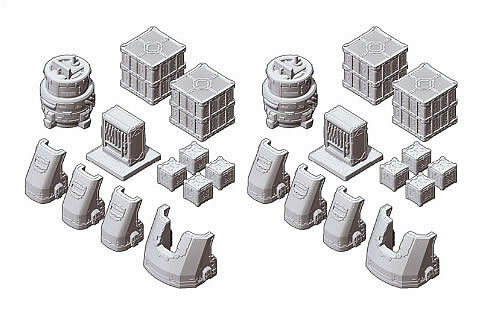 Normally only available as part of our Legions 2-player set out ruined building takes up a good chunk of tabletop. 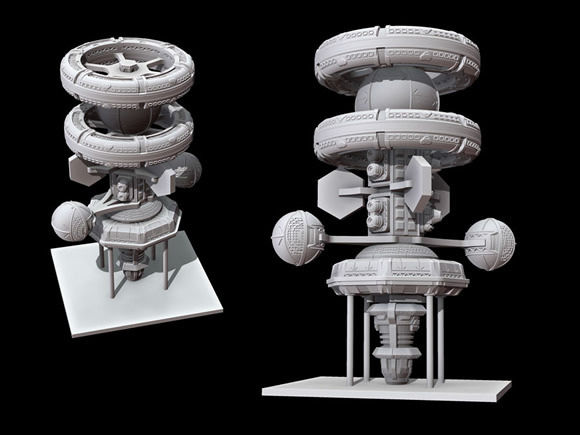 Our Sturginium Rig is one of the coolest (and largest) models in the Dystopian World. 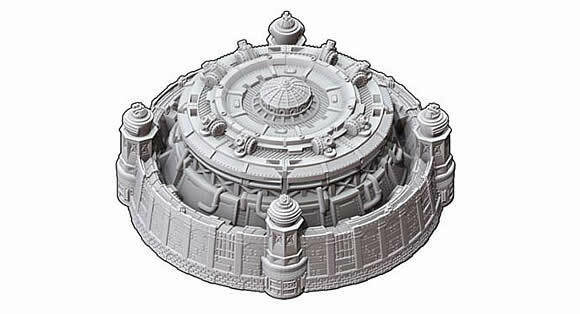 Tons of detail and awesome on the tabletop, this model will grace any gaming table! When you place your order, tell us which freebie you want in the comments area as you check out and we’ll do the rest. Pre-order items can count as part of your spend. Customers need to spend £100 after all discounts have been applied. Therefore, Corinthian Club members, for example, would need to spend £100 after their discount has been applied to be eligible for their freebie. If a customer spends more than the eligible amount, they can redeem one gift for every multiple spent. I.e. if they spend 3 x £50 (£150) they can redeem three of the £50 freebies or one £100 and one £50. We are happy to accept any combination so customers should just list the freebies they want and if they select too many, we will get in touch via email to check which they want. Orders that include pre-order items are generally processed when the pre-order item becomes available so we recommend that customers place separate orders if there are items they want processed immediately. However, to be eligible for an offer, we can make exceptions so please send an email to [email protected] after placing the order and we can sort it out for you. Hope that helps everyone and happy shopping.